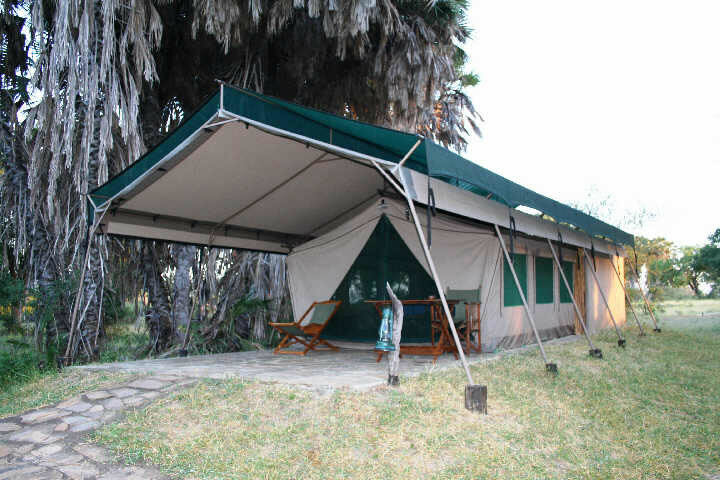 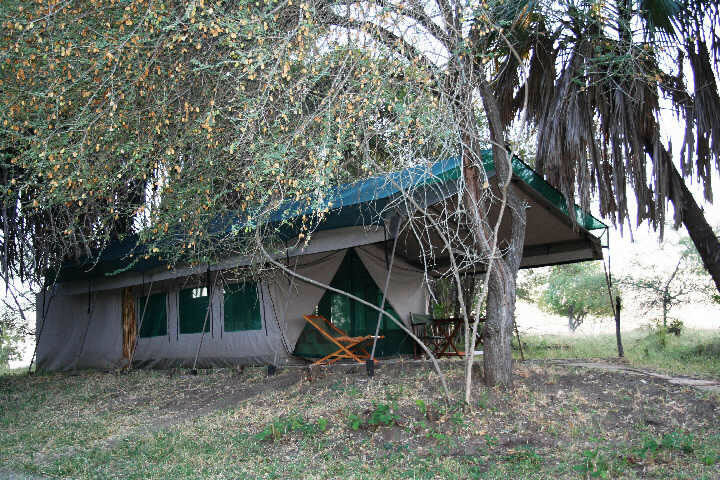 Lake Manze Tented Camp: Twelve Meru style walk-in tents, each with twin or double beds, flush toilet, outdoor shower and private veranda, are perfectly situated in the Selous Game Reserve, on the shores of Lake Manze. The Lake Manze area is one of the richest for game in the entire Selous, both in the dry and wet seasons. 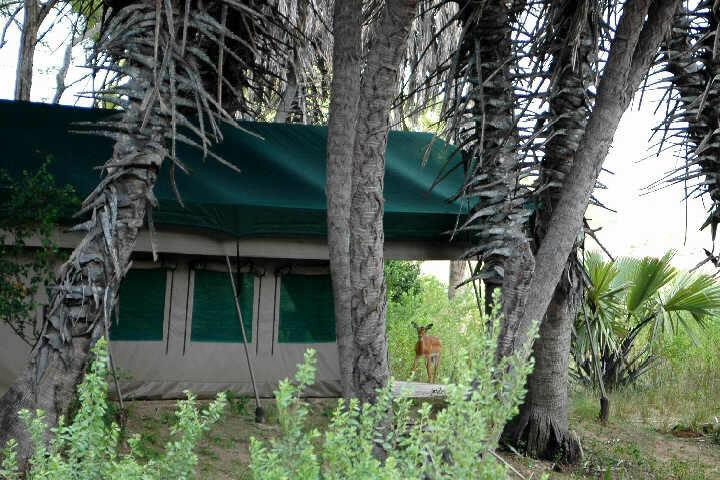 There is a cool and shady thatched lodge with a dining area and a sitting area, overlooking the lake. 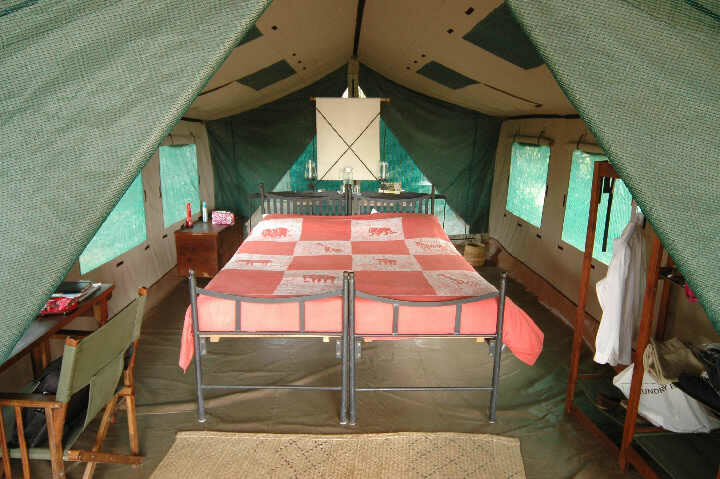 The camp maintains simplicity – there are no extra frills here.